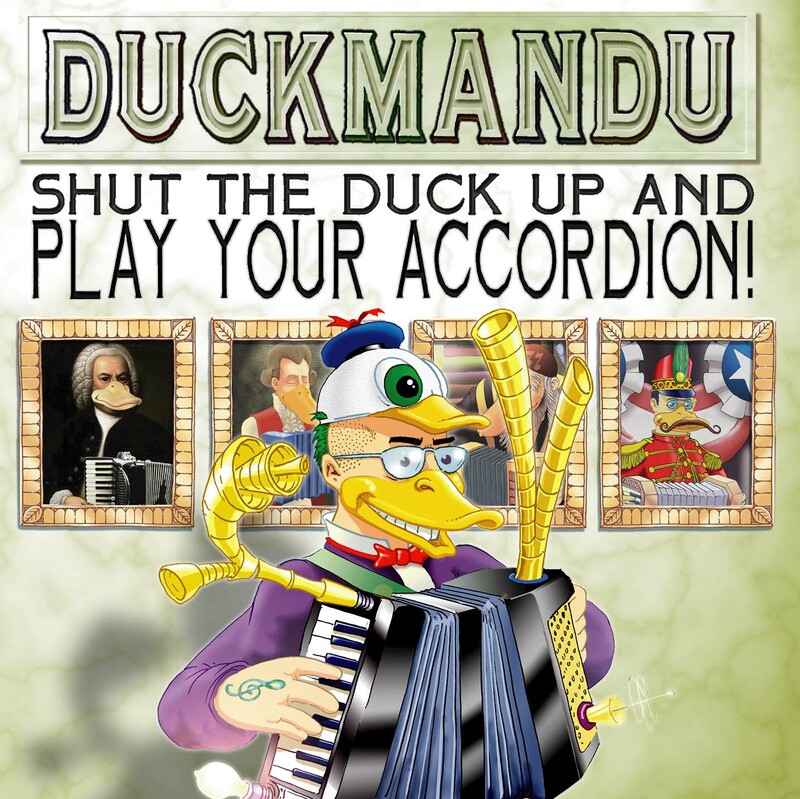 Duckmandu: Shut the Duck Up and Play Your Accordion! 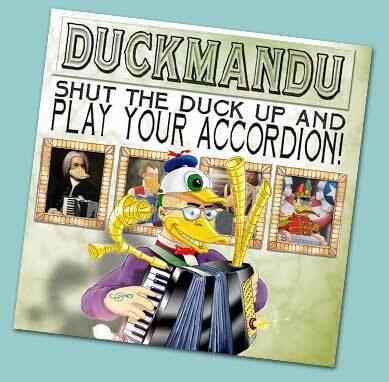 Shut the Duck Up and Play Your Accordion! Visit the Gallery of Historical Ducks! 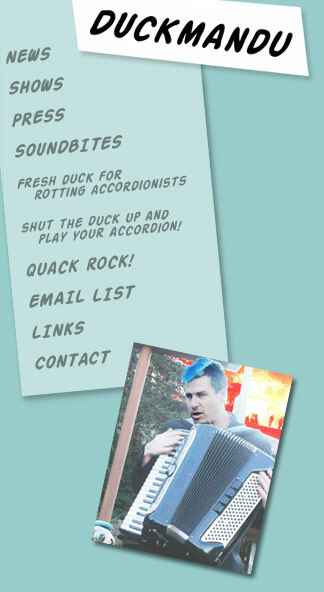 Thanks to Kimric Smythe of Smythe’s Accordion, without whom my accordion would not survive. Thanks to Jason Webley, for conjuring up an amazing audience that loves the accordion. Thanks to Alex de Soria, who started me playing the accordion seriously, and got me into folk music. Thanks to the Fishtank household, for enduring my 24 hour practice and recording schedule. And thanks to Shamalamacord and Shamalamacord fans.